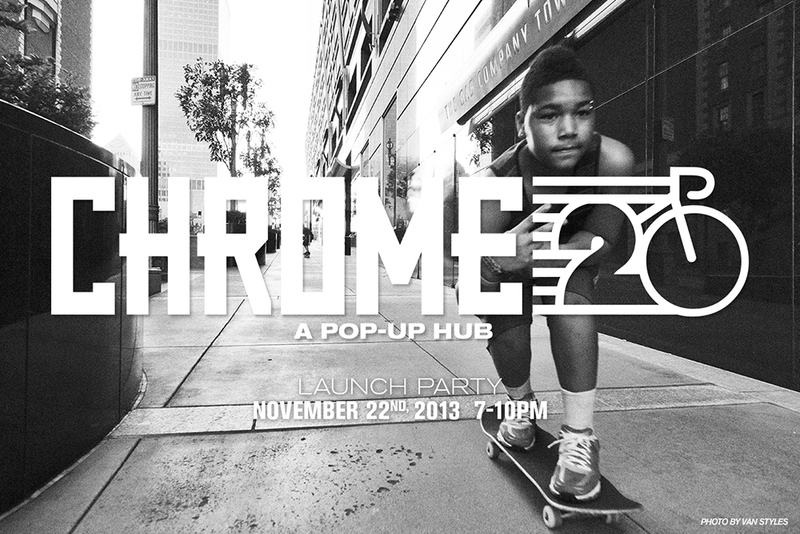 This evening will be the grand opening of Chrome Industries pop-up shop located at 4357 Melrose Avenue in Los Angeles,Ca to celebrate doing their thing for 20 years. Along with the opening they asked me to help curate some photos to be placed in the store for the time of the installation being up which will be from Nov. 22nd-Dec. 22nd. So I connected with my good friend Sagan Lockhart and long time friend/designer/photographer Jeffroe to contribute some work for the space. So swing by and check it some cool photos along with some great products from Chrome!